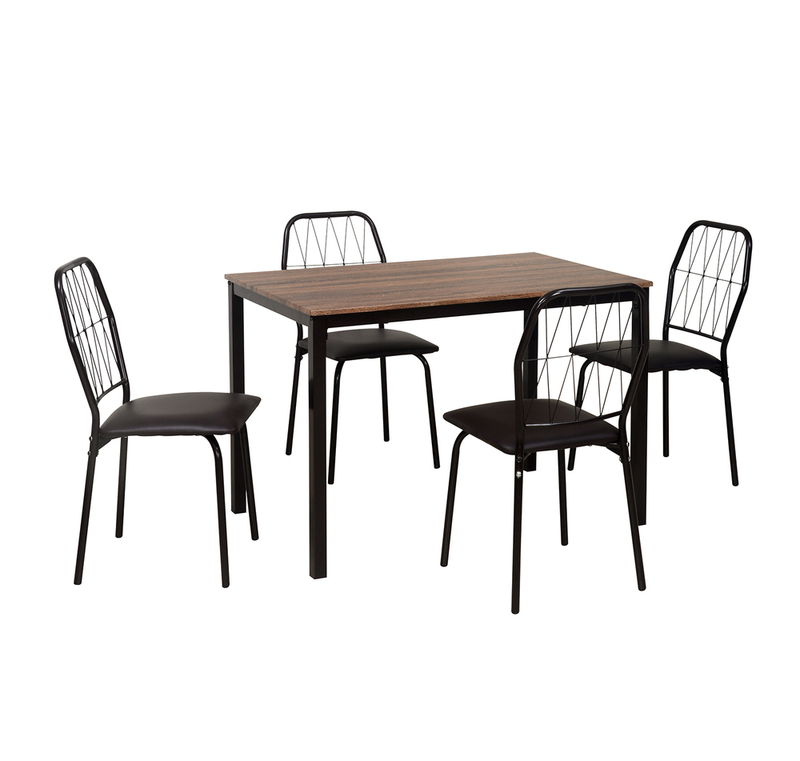 Danish 4 Seater Dining Set made from PVC and wrought iron, this dining set enlarges a modern and elegant look to your home. The legs of the chairs are made with metal which conveysfeeling of safety and comfort for you. The dimension of table and chairs in the set is perfect for four people to join together and add style in your dining room. The dining set has chocolatecolor which will add graceto your home. The package contains one table and four chairs that are suitable to entitleyour dining room with more elegance and perfect for a small family. The frame of chairs and table is made up of wrought iron to ensure long durability while MDF is used to give smoothness on top of the table. The dining set has coated with powder to enable a perfect finish. The table in the dining set is reliable for otherpurpose and can attract many of your relatives with its contemporary look and affordable price. The look of the dining set will grab everyone’s attention. Add style in your dining room with Danish 4 Seater Dining Set - @home by Nilkamaland enjoy a level of comfort during your meal.